The Factory Farm Moved In, Now What?? So, the factory farm in your community received their water pollution (WPDES) permit and have begun operations — what’s next? Your community can track and monitor the concentrated animal feeding operation (CAFO) activities while organizing to change the political and regulatory systems that support factory farming. This list is not exhaustive and simply serves as a place to start answering that pesky question — now what?? Sign up for training to become a Water Action Volunteer (WAV) with the DNR and begin a stream monitoring program around the facility site as well as fields where they spread their manure. CAFO WPDES permits do not require water monitoring near fields where manure is spread, so citizen monitoring can fill this gap. Photograph and document all spills, over-application of manure, manure on roadways, runoff from fields or facility site. Make sure all photos and videos have a time and date stamp, and make sure to photograph at locations that avoid potential trespassing issues. For more information, review SRWN’s guide to manure spill response. Send Keri Behm, Water Quality Bureau at the Wisconsin DNR, an email requesting to be added to her weekly WPDES public notice email. Her email is Keri.Behm@wisconsin.gov. During your Township or City’s ‘open book’ period (typically in the spring), consider organizing property owners near the factory farm and/or spreading fields to request a property tax assessment reduction based on their proximity to the factory farm. 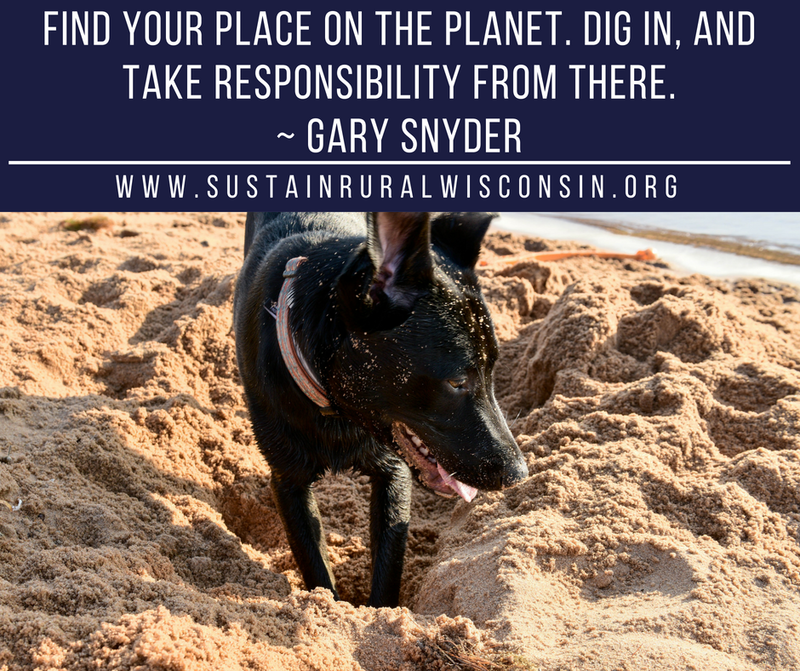 For more information, please see Sustain Rural Wisconsin’s newsletter. Support Sustain Rural Wisconsin’s call for a statewide moratorium on new and expanding factory farms. Encourage your city council, town board, or county board to pass a resolution in support of a statewide moratorium. Share Sustain Rural Wisconsin Network’s Reality Check project on social media, in your newsletter, or with your contacts as a way to keep the factory farm issue ‘alive’. Contact your County Health Department and inquire about well-testing programs available in your community — When are they? How much do they cost? How often should it be done? What do they test for? Attend your County Board/Town Board meetings, City Council meetings, Land Conservation meetings, and Health Board meetings — express your concerns over the CAFO’s practices and suggest protective ordinances be drafted and passed. Concerns that may bring together a broader coalition include damage to local roads from increased traffic and heavy equipment use. For a list of ordinances that have been passed in WI, please see the Sustain Rural Wisconsin Network’s webpage. Consider identifying and recruiting community members who are concerned about the factory farm to run for Town/County Board and City Council. Information about elections is available from your Town/County/City clerk. It is often safest and most productive to run on a pro-water and/or pro-public health platform rather than run “against” a particular new or expanding CAFO. Apply to become a citizen committee member in your County (contact your County Clerk for the application). Some committees to consider: Health, Land Conservation, and Planning and Zoning. Ask your County Conservationist every month if there have been any new applications for large farms (500 or 1,000 animal units depending what ATCP 51 permitting threshold was adopted by your county). Some counties have not adopted ATCP 51 and may not have this information but you should still check-in regularly. Reach out to community and state-level groups who may be allies in your fight against the factory farm and plan gatherings centered around your common concerns. For a list of statewide and community-based groups, please see Sustain Rural Wisconsin Network’s list. Make your community group visible. Write letters to the editor commenting on factory farms and the environment. Make presentations at local civic and church groups about the impacts of industrial agriculture. Put up posters about your group around town. Take out ads in local newspapers. Talk with local media to get news coverage on your organization and events. Make use of Facebook and other social media. Check the WI DNR website or the CAFO permit public notices at regular intervals (at least quarterly) for any proposed changes in waste management, fields for waste application, annual reports, etc. Attend lake association or lake district meetings in your area (if applicable), to keep abreast of waterway conditions and issues in the watershed. If the facility also has an air pollution permit (for manure drying/fertilizer systems, incinerators for animal mortality, etc. ), check the WI DNR air permit website at regular intervals (at least quarterly) for air emission test results, proposed changes in permit status, etc. Consider starting a coalition of business owners in your region, similar to Farms Not Factories Chequamegon Bay Downstream Business Coalition or the Downstream Business Coalition in Duluth to counter the narrative that factory farms bring economic growth to rural communities. Sign up for SRAP’s “How Do You..? For Citizen Activists” Training Series. These on-line trainings are held monthly and cover a wide range of topics from how to build a website to how to read a manure management plan. Request a contested case hearing within 60 days of a reviewable action, such as a modification to the WPDES permit. For information on the process, please see Midwest Environmental Advocates Legal Actions Guide. Want to download a PDF? Click here.